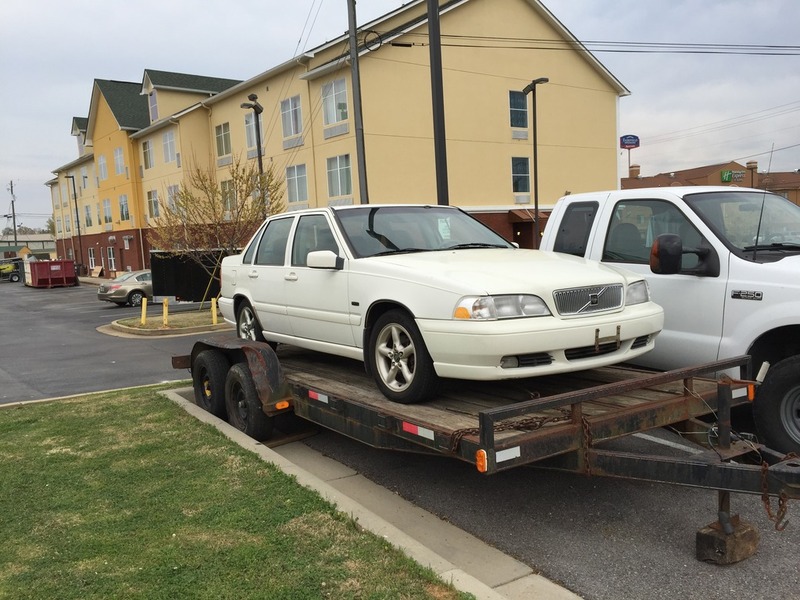 So this car was outside Atlanta, and I picked it up the weekend of March 18th on my way to the Barbershop quartet music contest (no kidding) in Oxford Alabama. So the car was toe-d in about 1 inch. It had gone over a curb primarily damaging the right side. All the force went through the tires. There is not any mark where anything hit the body of the car. Right front wheel was heavily damaged. 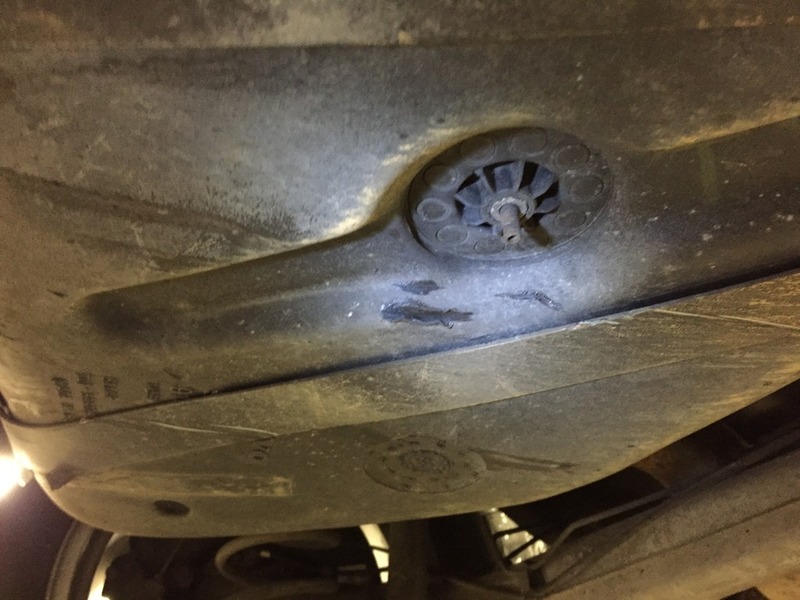 The right strut shows evidence of wheel rub on the strut itself (hard to see), and while you can't see it here, the spring was rubbing on the inner fender. Last edited by firebirdparts; 06-27-2016 at 08:15 AM. What I concluded about the front was that the strut was bent. In addition, when the force pushed back on the suspension, the rear control arm bolt location was moved. The bracket for that bolt is welded to the top of the frame, and the frame tube was squashed by this movement a little bit. However, it can only move about one eighth inch before the bracket hit the frame, and that was as far as it moved. I ordered some new bilsteins and installed them last weekend. The bent one is not really all that obvious in photos to me, but I tried to get it where you could see it. Last edited by firebirdparts; 04-13-2016 at 07:48 PM. Once I got these off I decided to order top bearings, but they don't really seem much better than what I had. The old ones were still rolling but they just felt a little gritty. I am not a stickler for perfection but I thought new bump stops would be okay in this case. Considering parts cars are free, I will probably just replace the frame, but for shakedown runs, I have deformed the frame back generally to where it is supposed to be. Have been driving the car for a week, and just love the drivetrain. It has lots of little interior trim issues, but those are more like fun than work to fix. Last edited by firebirdparts; 04-13-2016 at 07:50 PM. Here is the other side of the car, on my trailer. Spare wheel on the front. Rear one has a chunk out but the front one was much worse. I have service records for this car, and I see that it had 4 new wheels put on in 2013. Isn't that sad? The two that were damaged were fairly new. They reason they had one spare was they kept 1 spare. Wish I had the other three now. There is an unnatural amount of negative camber on the right front in this picture above, but it's not really all that obvious in that photo. So here is a view of the top of the frame, where the damage is. This was relatively easy to see while the struts were off. This is after I had already been massaging it a little bit. As I mentioned earlier, the powertrain is fabulous; I drove it all week. It's not exactly happy on suspension. Mostly I have a feeling that the front end and the back end of the car are not doing the exactly same thing, and it's really the back that seems not exactly right. I have not really looked at the rear at all yet. It only seems odd when you hit a big transition in a turn, so that the suspension is unsettled about as much as it can be. But naturally that's the way I would drive this thing all the time. I will admit the thought occured to me that I have new shocks on one end of it and not the other. 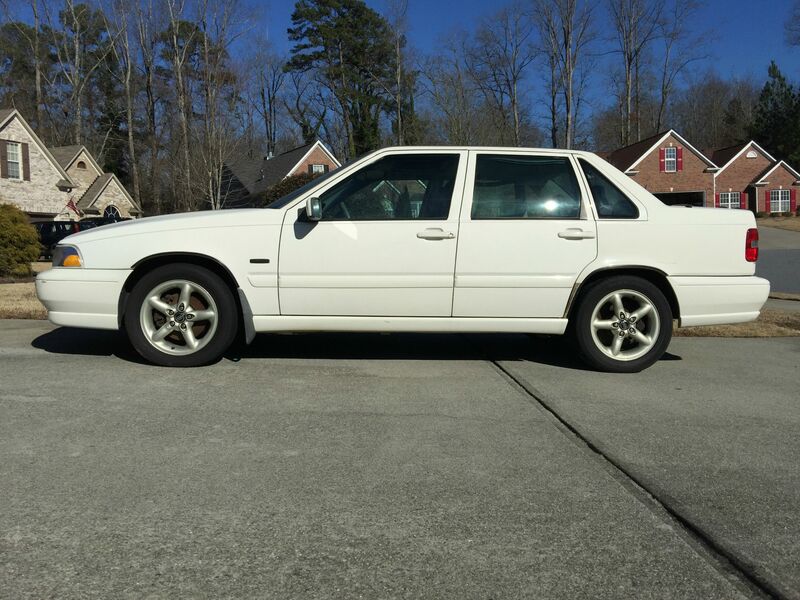 My other car is an non-turbo 850, so I am using that for comparison. The tires are different, and I guess the spring rates on the turbo are higher. This car has an aircraft oil drain, but I didn't get the other end of it. That's a new way to botch up buying a car, isn't it? I did not know what it was at all. I have never seen one before, but it was obvious how it works. Whoever manufactured it didn't think they needed to put a mark on it. Fortunately it appears there was nothing wrong with the threads in the oil pan. 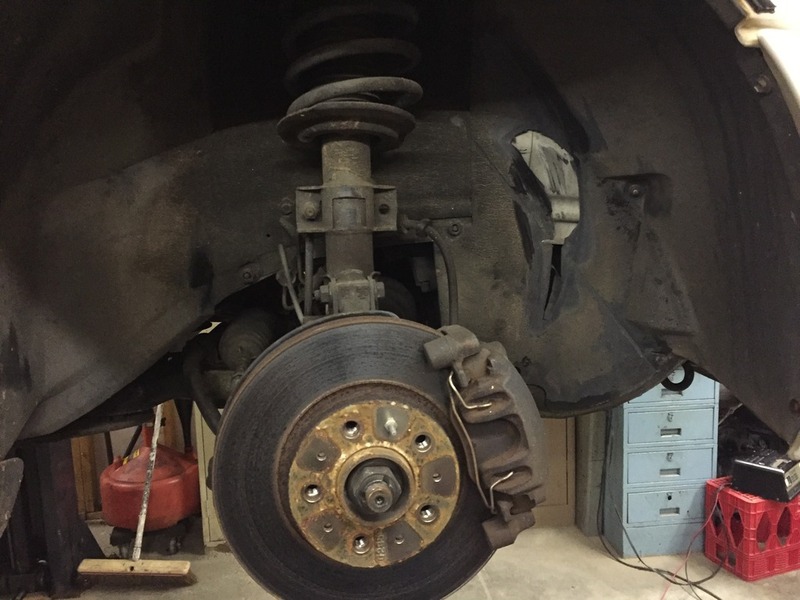 Back to the rear suspension, I don't see any obvious problems, but my description seems to fit what some guys have said was cause by bad trailing arm links. Worth a try. I figured it was cross-cambered but it's really not. I think (by eyeball) it's toed out a little bit. I mentioned in another thread that I put chrome Monokote trim (which is peel-and-stick) inside one of the headlights and got a fantastic improvement. I am thinking I will stick aluminum duct tape in the other one and we can compare. I also changed the heater core tonight, it was the date coded original. 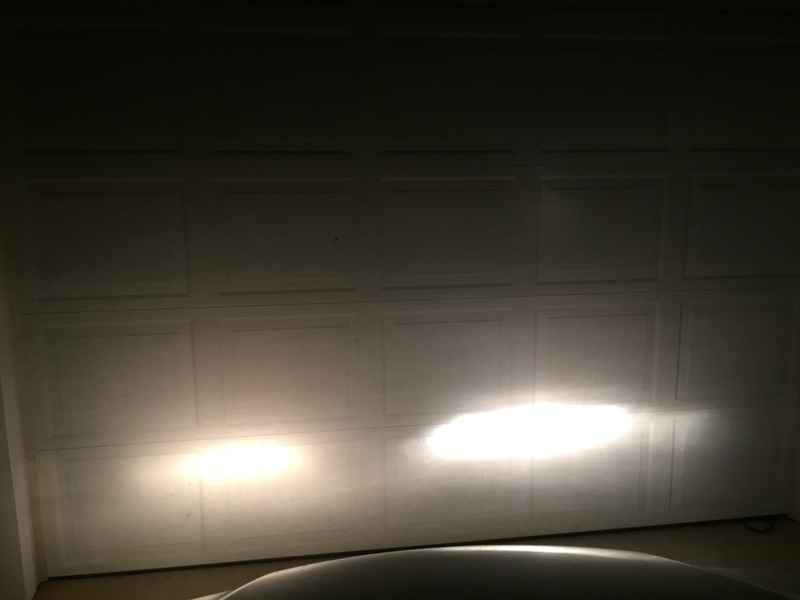 I put in a fog light bulb (that fog light/s not the best designed thing I ever saw). Swapped out the cabin filter. I love the heater core location on these cars. 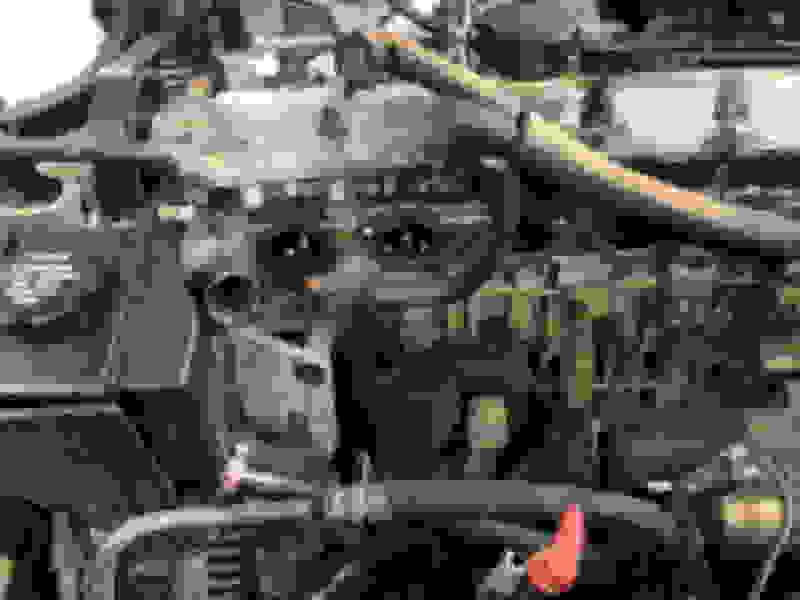 Last edited by firebirdparts; 04-21-2016 at 08:01 AM. After trying to figure out how "passive rear steering" works, I put the car back on the rack and looked at the rear axle. The control am links are not "bad" or gone but there is some slop there. The rear end can move around about a 1/4" without any resistance at all, so that is probably what I am feeling. It feels like "unwanted rear steering" instead of merely "passive." I don't think the accident hurt anything. On the other hand, I'm not sure I have enough adjustment available to line it up. We'll just have to see. So now I'm wondering if the $200 rear control arm links are 10 times as good as the $20 ones. In other news, I find that the gas tank almost got sliced through. Yikes! Had a fine day today at pull-a-part in Knoxville. They had a couple of 98's, and I went into see if either of them had black interior. My car has a bunch of interior plastic that is messed up and one sun visor that doesn't stay all the way up. I found the black interior I wanted in a 1998 V70 AWD. Somebody had already removed all the pieces I needed, left them in the car, and did not break any of them. Amazingly, this car also had one of the wheels I have there, with a good michelin tire on it. They charge $20 for a wheel at pull-a-part no matter what it's worth outside the gate. Last edited by firebirdparts; 12-05-2018 at 09:58 AM. Worked on the car, cushy work, all day. Got a bunch of interior plastic parts replaced with this junkyard stuff. The driver's door panel is gluing up in the basement overnight, with liquid nails. I practiced taking the switches out of the dash in the junkyard. Very easy. So then today I took those darn LED's out of my switches. Didn't break anything, thank goodness. 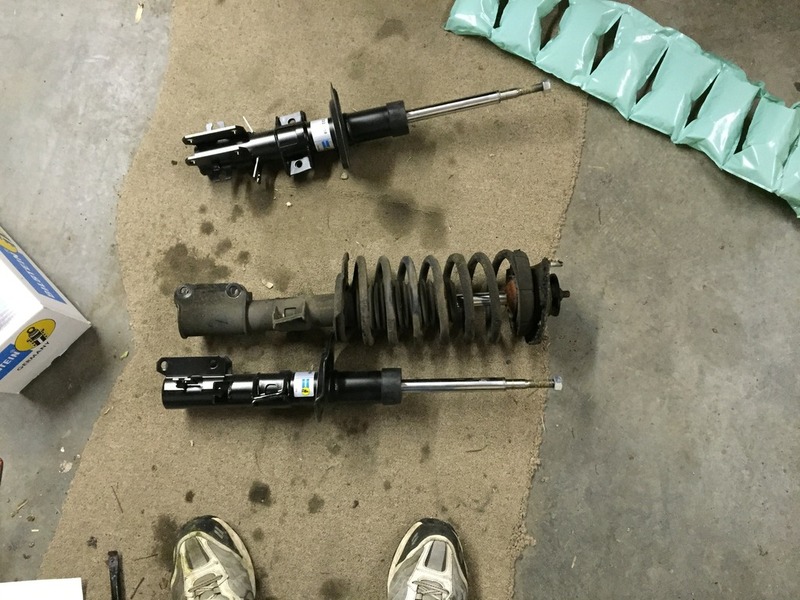 I also replaced the rear shocks. I noticed the rear shocks were noisy, and I am not convinced that the delta link bushing are really bad when compared with my other car. Plus I necessarily have new shocks on the front, so just to get it all reasonable on all 4 corners I got new rear shocks on. seems better, but I did not drive it very hard. Also adjusted my headlights. Once I got the reflectors fixed, I have a very pronounced cut line. The bubble level only works on one side, (the other side is dry) so I just matched them to each other and set the one good level. We'll see how that does. Update on the rear suspension. New shocks have improved it tremendously. Evidently I did not have the same resistance to movement on both sides. I was only having a problem during rapid suspension movement, so that makes some sense. It felt like the car jumped sideways every time I went over a bridge expansion joint. On a somewhat comical note, I ordered "closeout" shocks from Rock Auto. KYB's. I do stuff like this all the time, and the result was the sort of thing you risk buying warehouse closeouts. I got one white shock and one silver. The silver one had a part number that superseded the part number on the white one, so they were both correct for the application. Been a while since my last update - I have continued driving the car with the bodged frame but I am trying to get excited about replacing the engine mounts and get parts on hand for a frame replacement. I have taken up driving my NA 850 for a few weeks because the a/c is ice cold. So last night I did a quick bread-bag fix on the S70. The clutch gap was about .030" and it was in that temperature sensitive range. I should fix it right, but if I remove the frame, I maybe can catch that while the frame is off. The compressor is such a pain to remove, even on a lift. Fixing air conditioners just makes me all tingly inside. No pictures, but I noticed the car was leaking oil a bit in the driveway, and yesterday I had an experience that it cut out coming uphill, just for a fraction of a second, and then starting running again. It misfired on all cylinders just for a fraction of a second several times on the way home. I would say every 30 seconds or so. This did not set any codes. Evidently a misfire code would only bet set if it misfires longer than that. 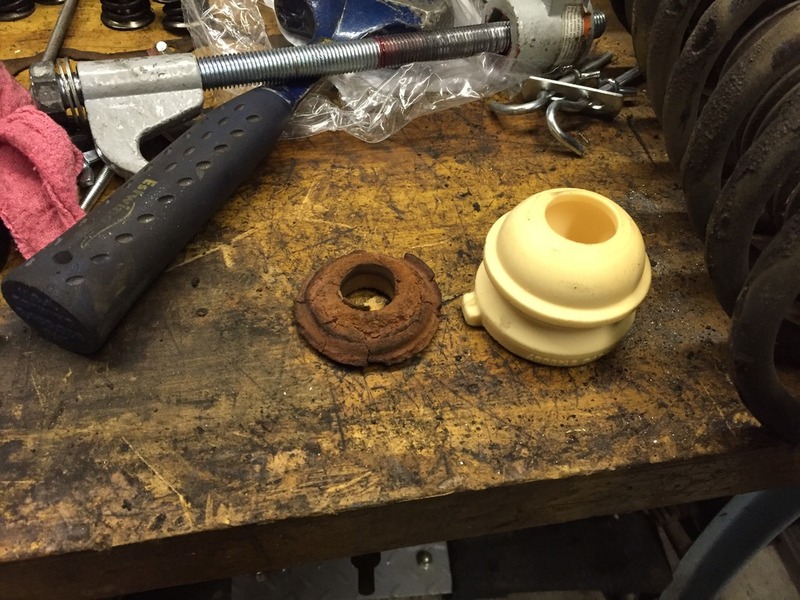 I assumed that if these two things were linked at all, (based on experience) the cam seal behind the distributor had walked out, and the misfiring was caused by oil filling the distributor. I was not disappointed; the seal was all the way out. I decided to try something new; I put a little layer of anaerobic sealant on the circumference of this seal to glue it in. I don't expect to ever figure out if that worked, but anyway I figure it probably wouldn't hurt. OIl cooler line replacement (home-made). The junkyards are full of frames, but I am using a '94 frame from a car I had here. 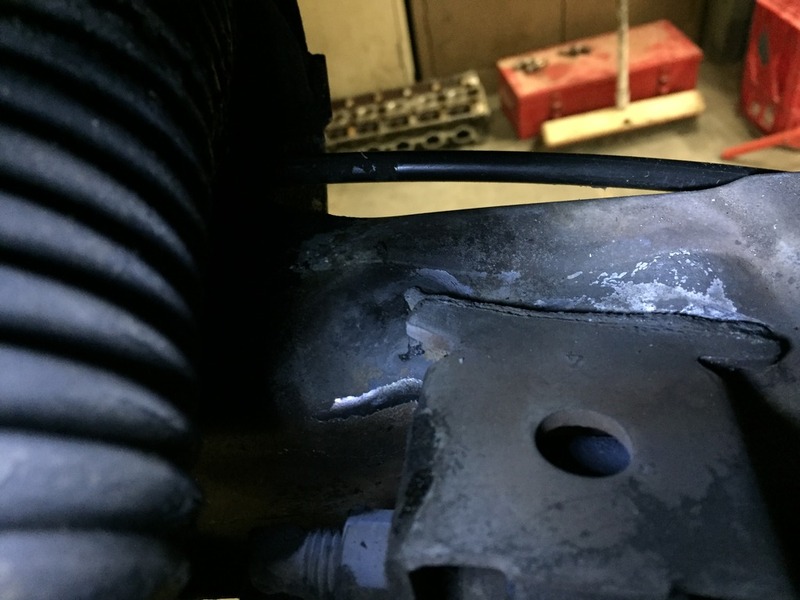 Here are some pics In this first one, you may be able to see that the intake manifold connection had rotted in two. I had some minor idling problems with that and a related check engine light. I suppose the PCV had never been done. Last edited by firebirdparts; 12-05-2018 at 10:10 AM.